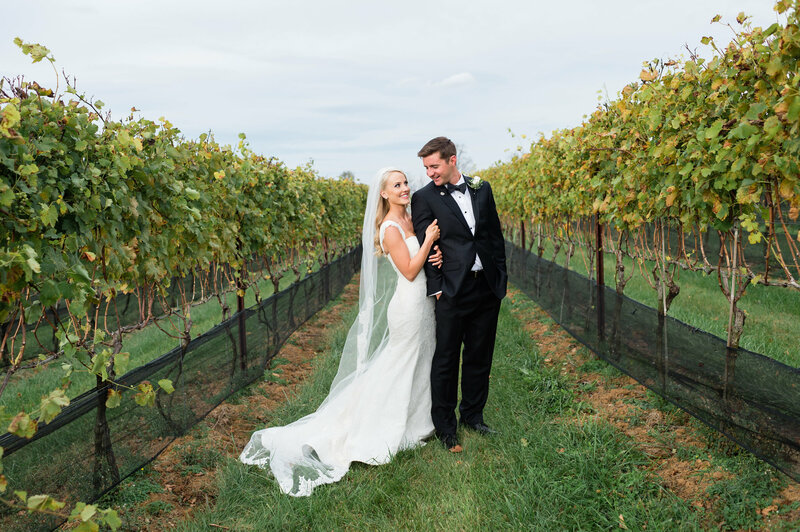 High school sweethearts, Amy and Ryan grew up just houses down from each other in the suburbs outside of Washington DC. 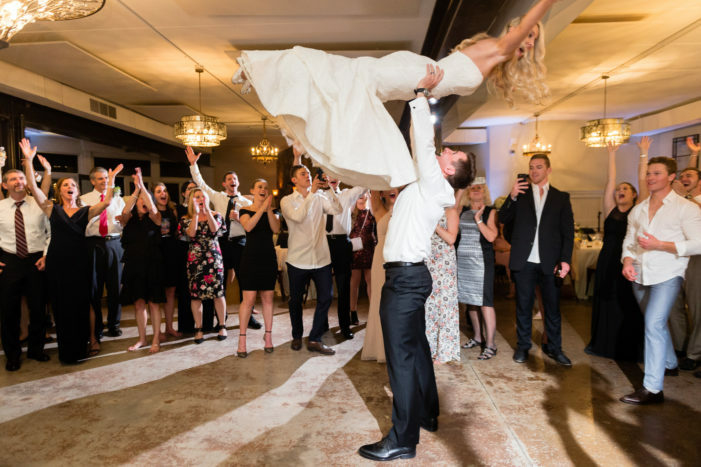 Initially Amy was unimpressed by Ryan’s attempts at wooing her. 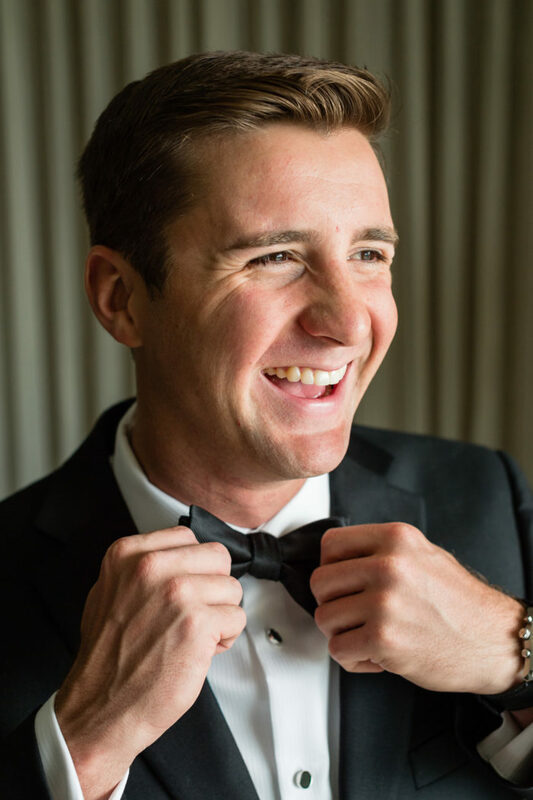 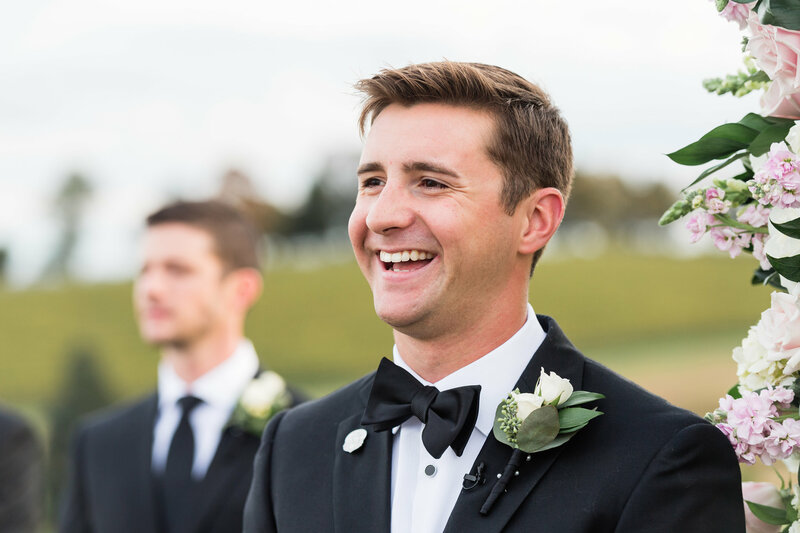 Slowly over time, Ryan’s persistence and charm paid off. The pair discovered that not only did they love each other, but they were also best friends and soul mates. 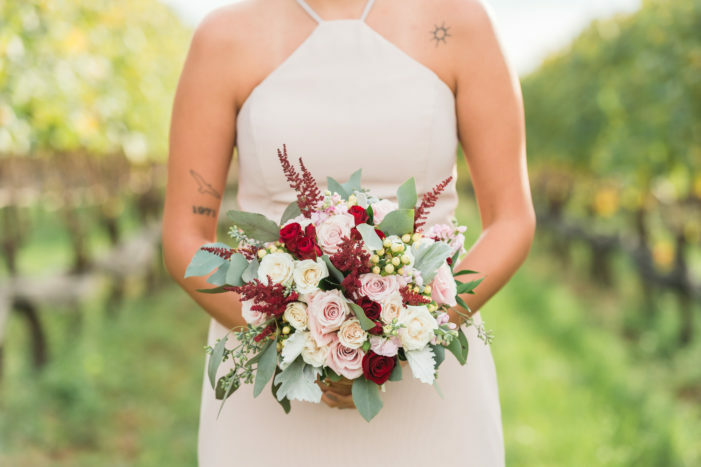 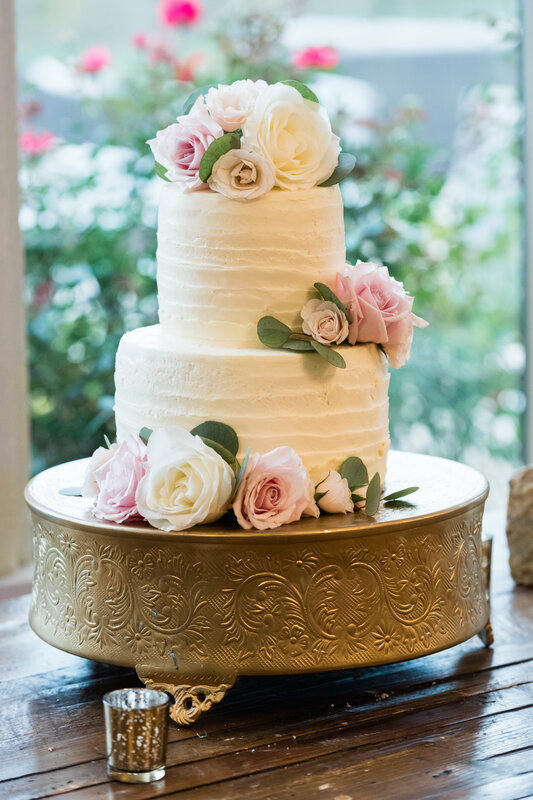 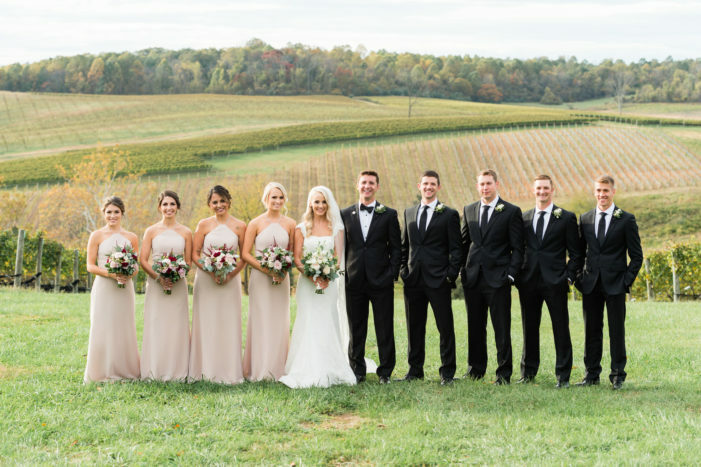 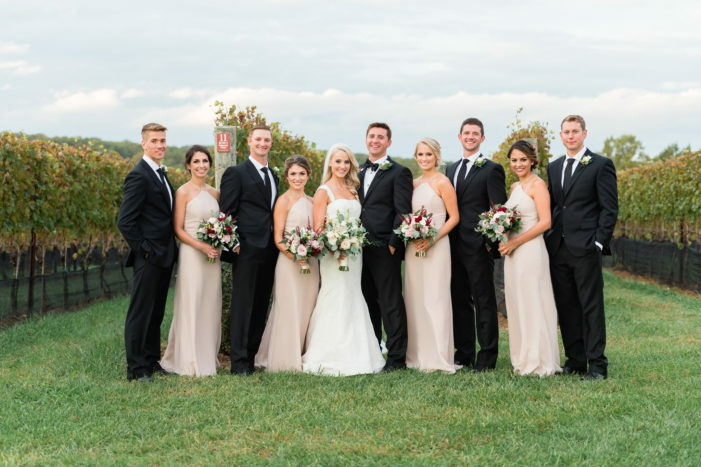 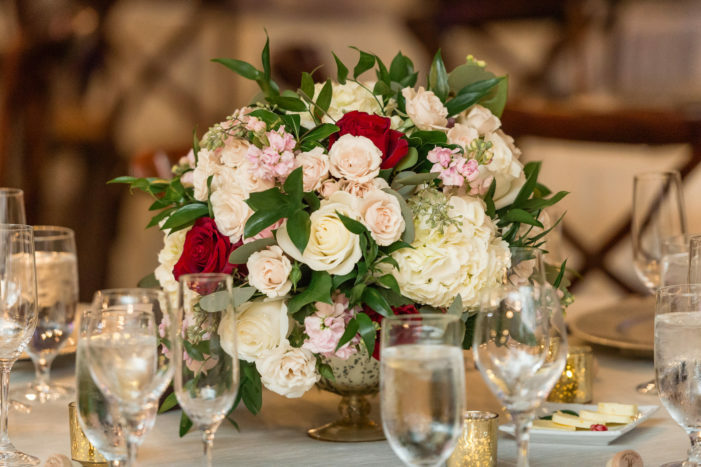 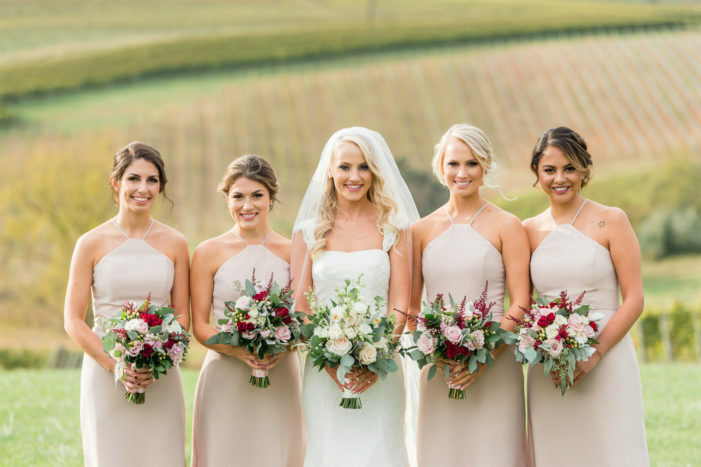 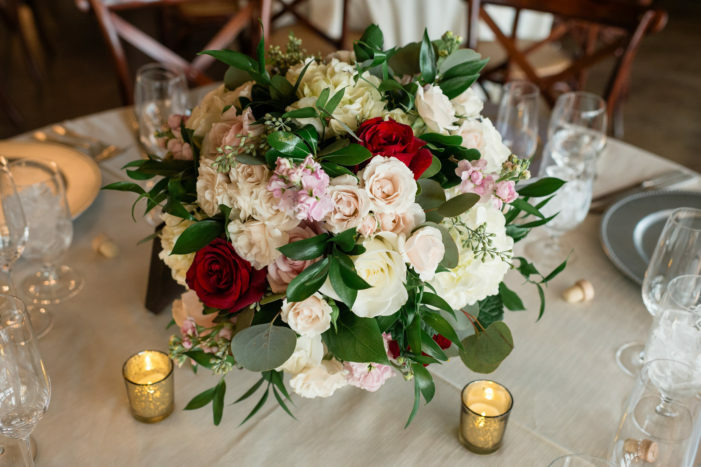 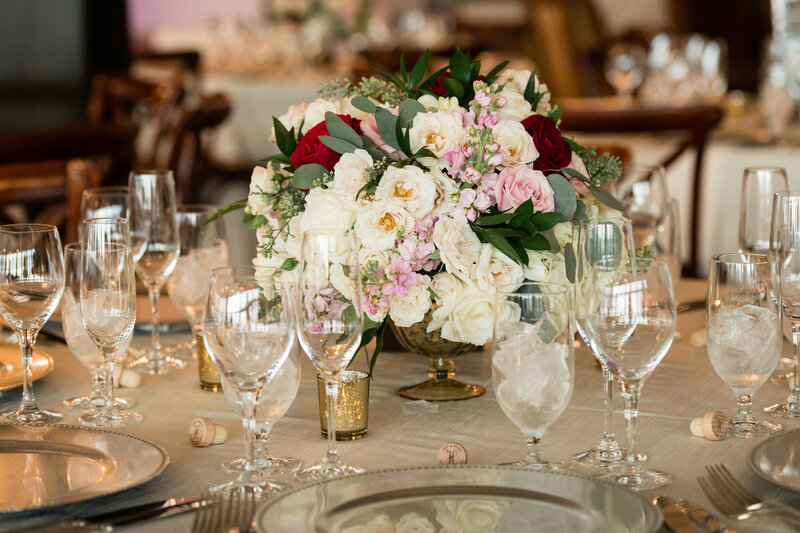 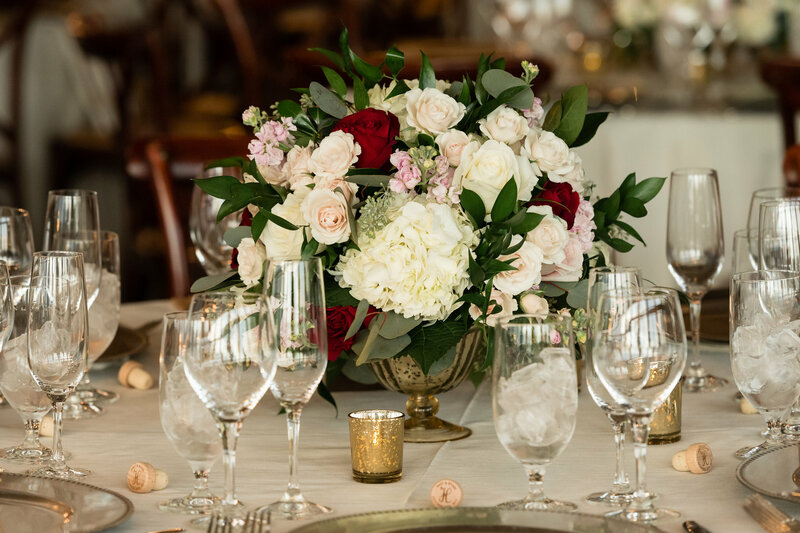 Today’s blush and burgundy Virginia vineyard wedding was the perfect culmination of their relationship! 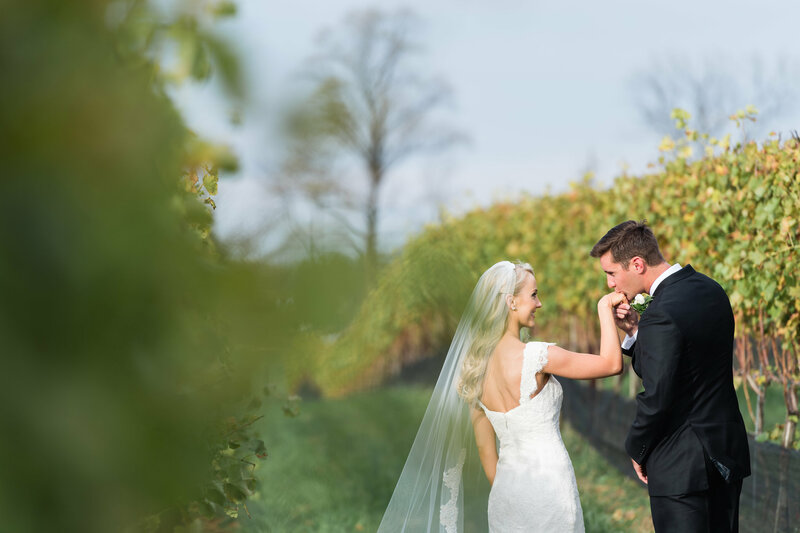 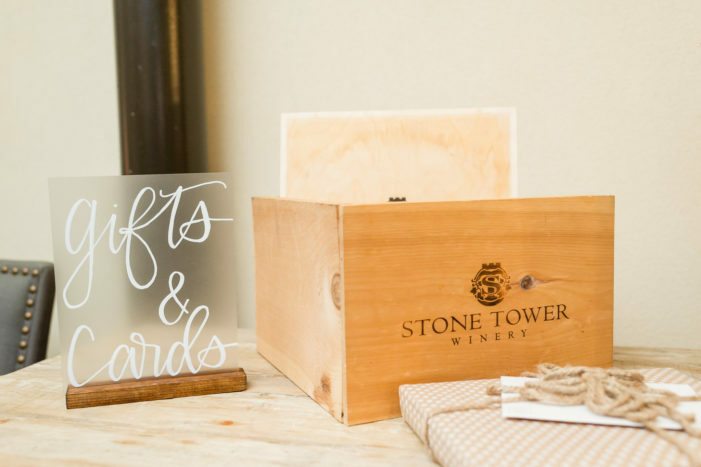 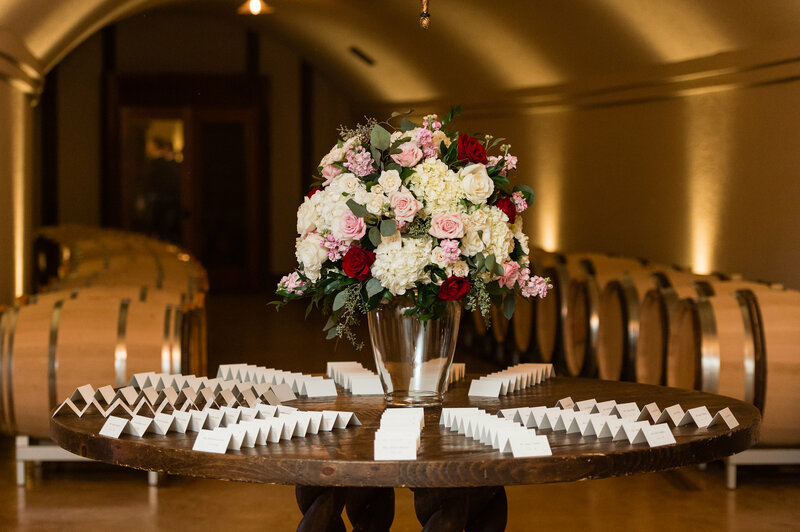 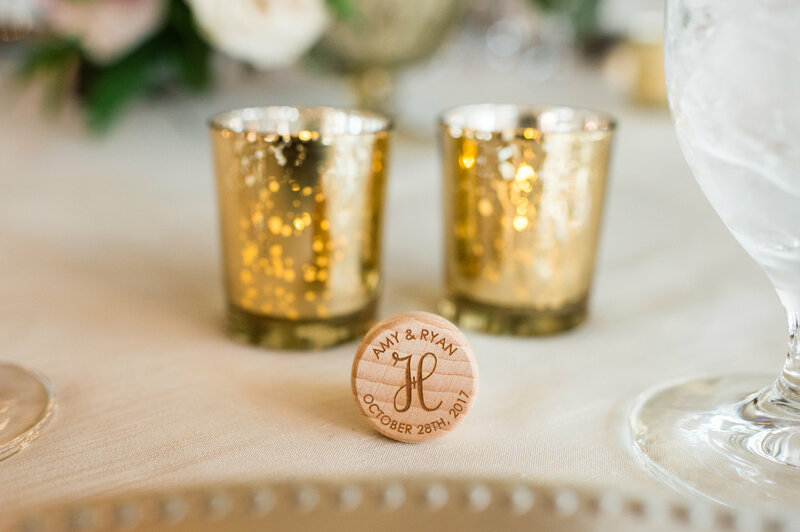 After enjoying their engagement party at the beautiful Stone Tower Winery, both Amy and Ryan knew that is exactly where they wanted to tie the knot. 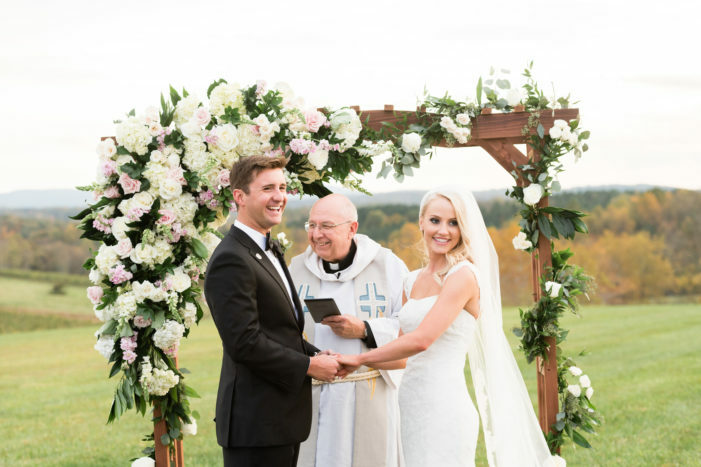 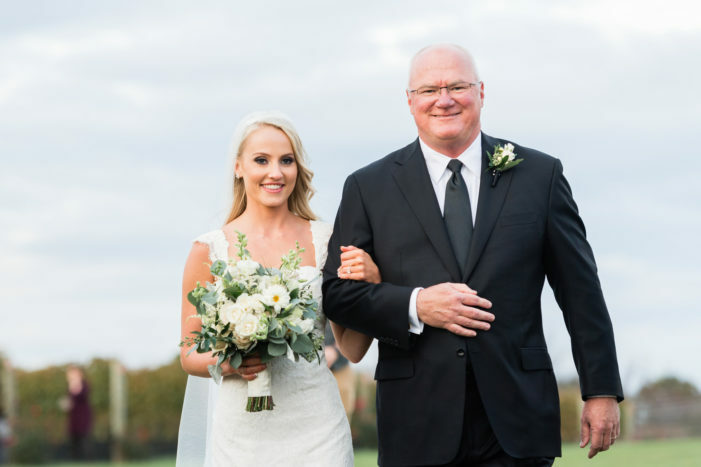 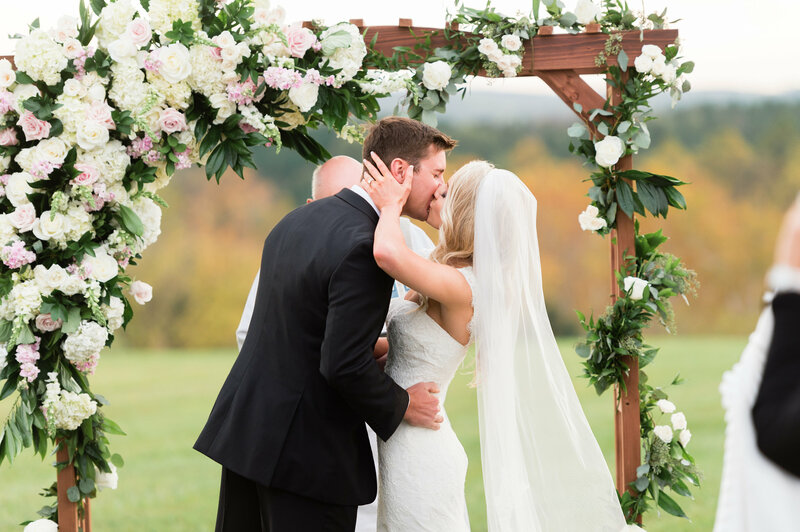 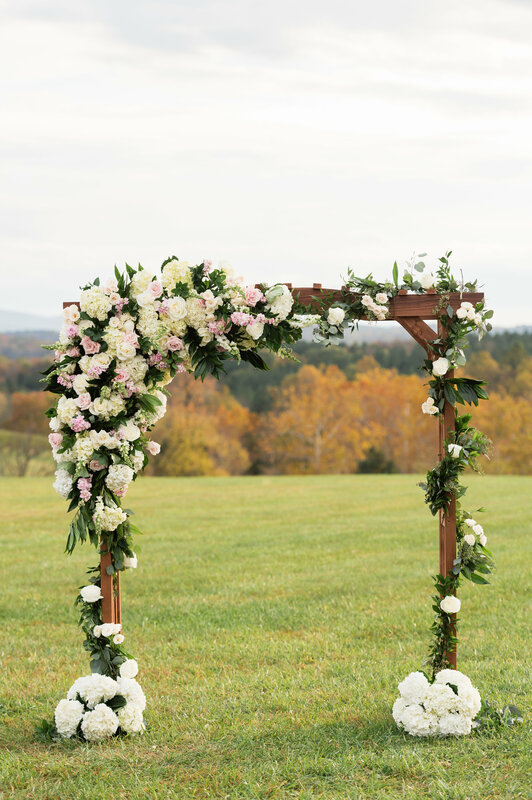 Their wedding took place on a mild October day; an afternoon ceremony where they said their “I Dos” under a wooden arbor covered in greenery garlands and soft, romantic blush, cream and wine toned florals. 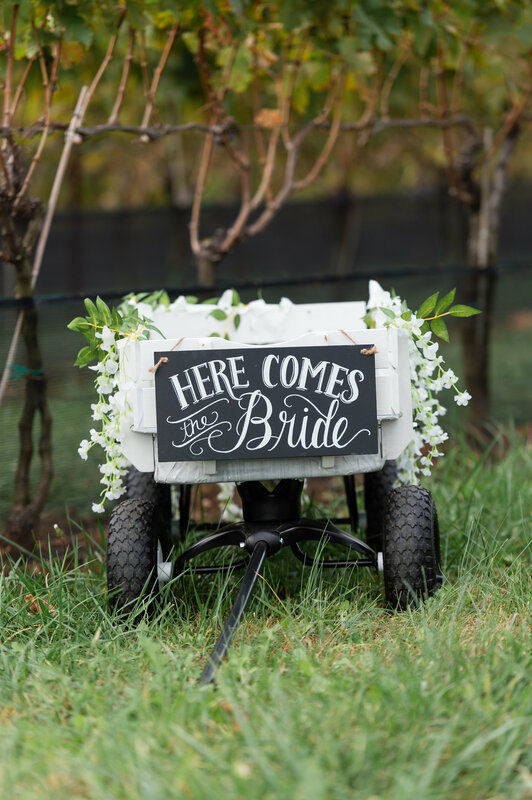 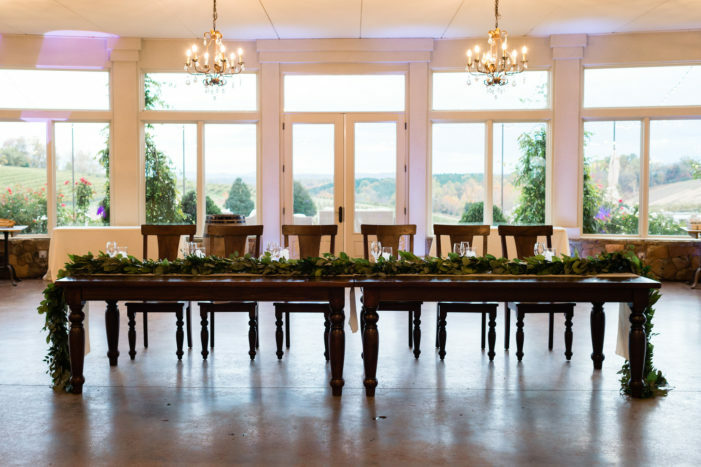 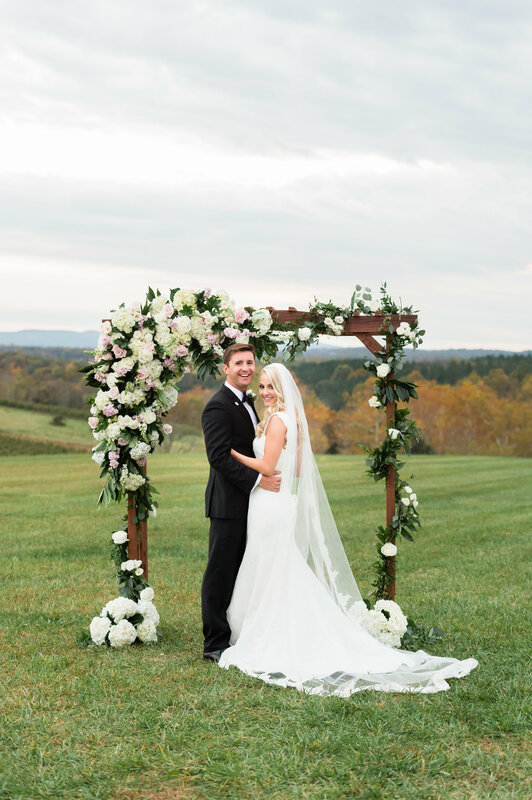 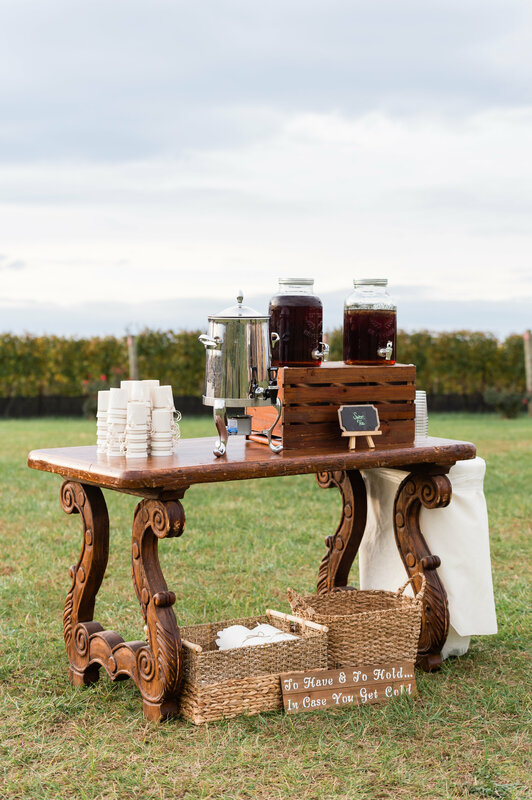 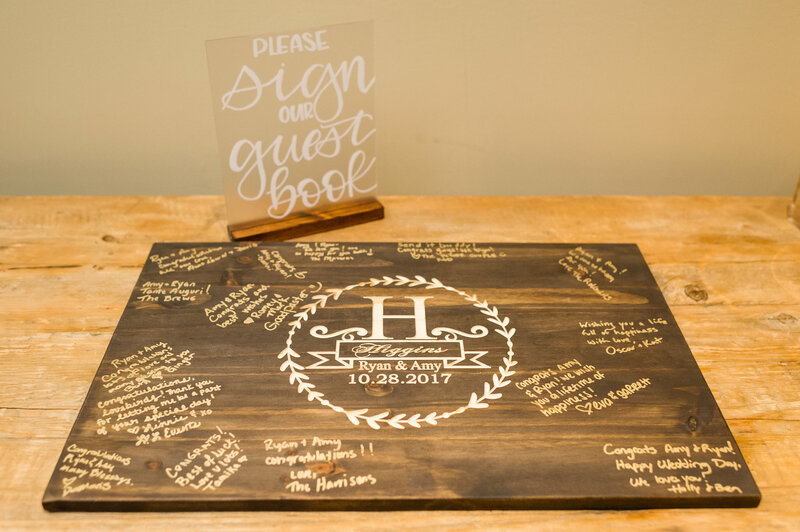 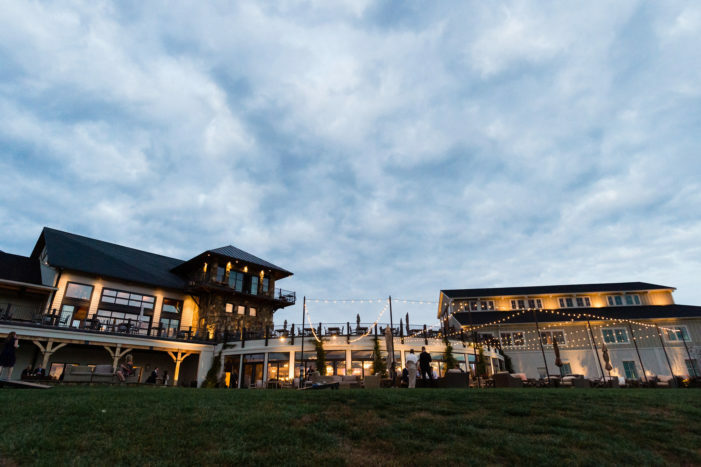 Their 130 guests sipped on apple cider and sweet tea, while taking in the winery’s vineyard views and Virginia’s rolling hills. 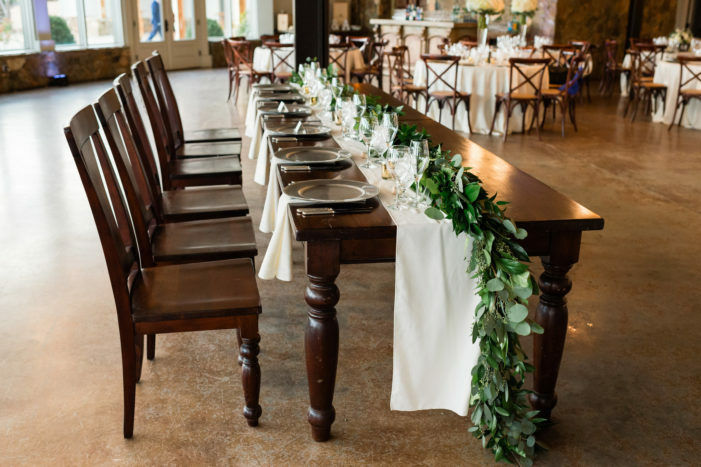 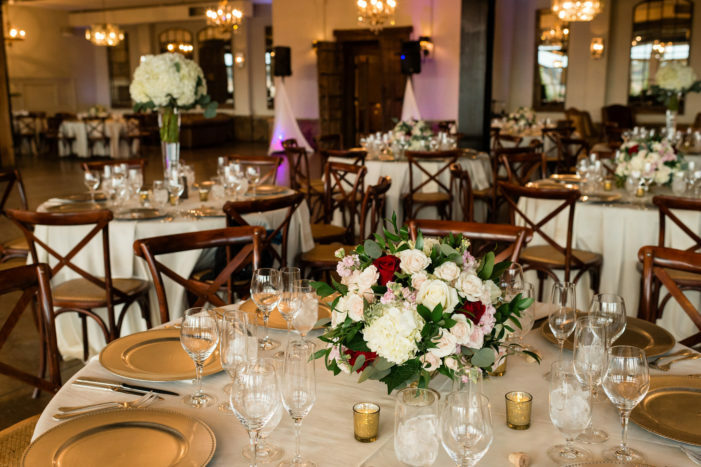 Amy and Ryan treated their guests to an ambient, candlelit dinner in Stone Tower Winery’s vineyard view ballroom. 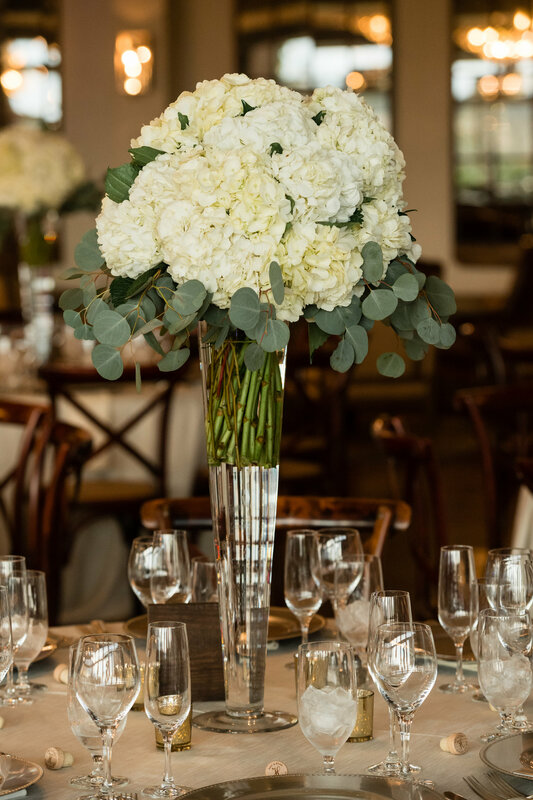 They incorporated lush, high and low floral arrangements. 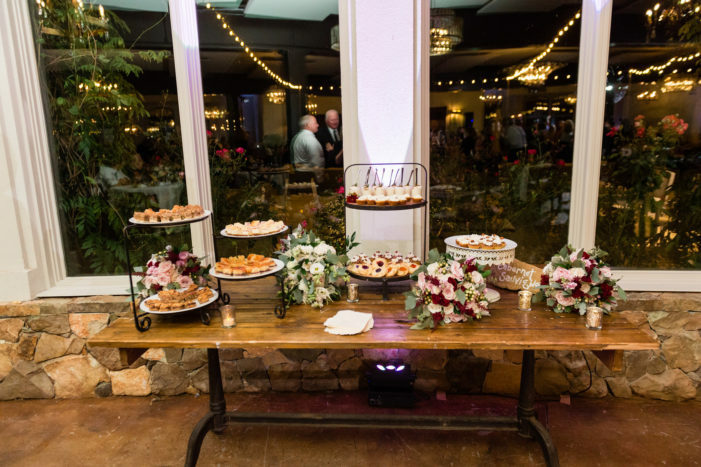 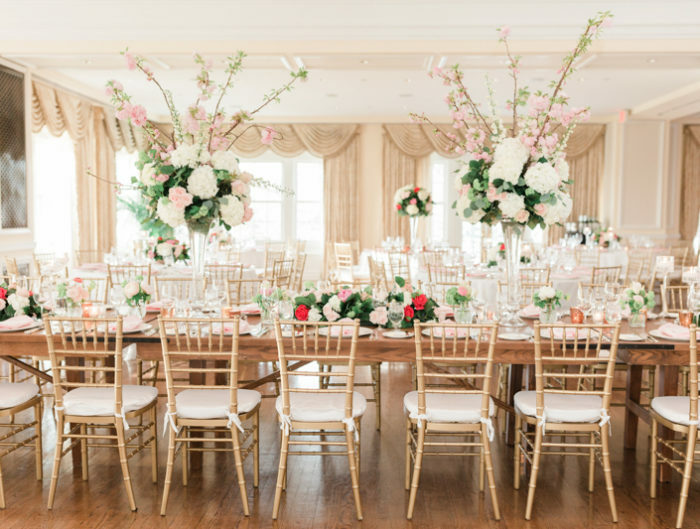 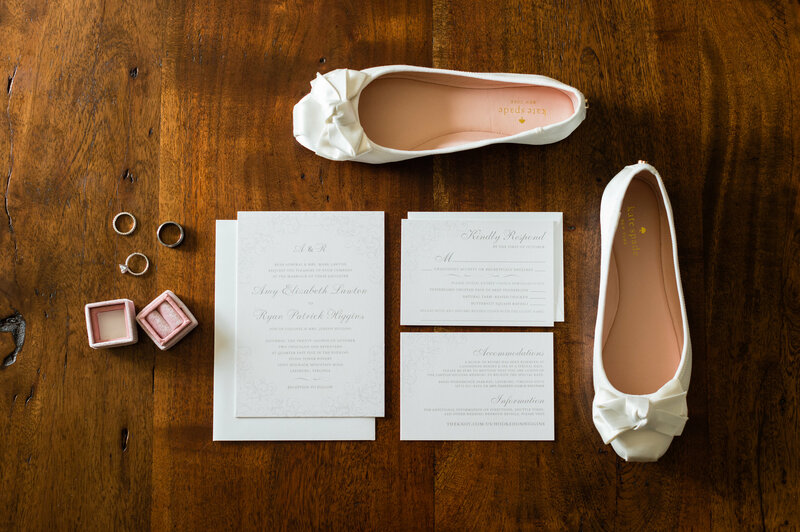 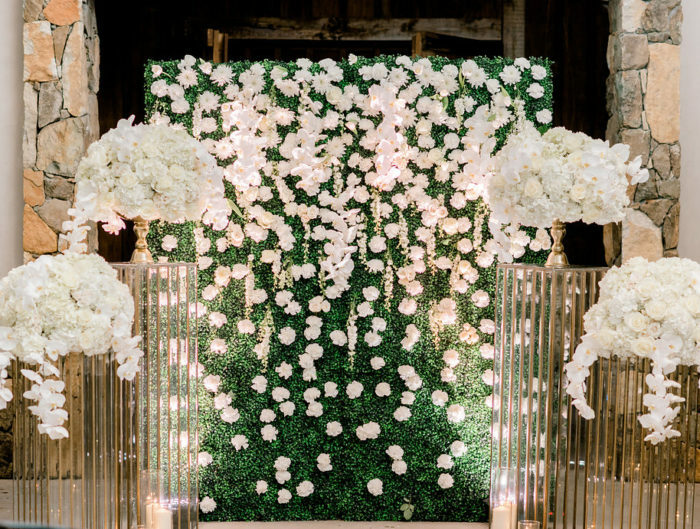 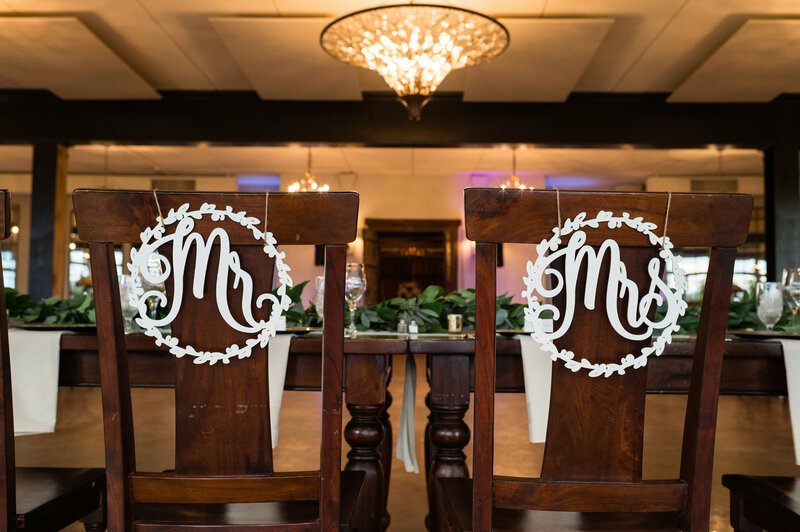 They paired these with a neutral color palette as to not distract from the venue’s already stunning aesthetics. 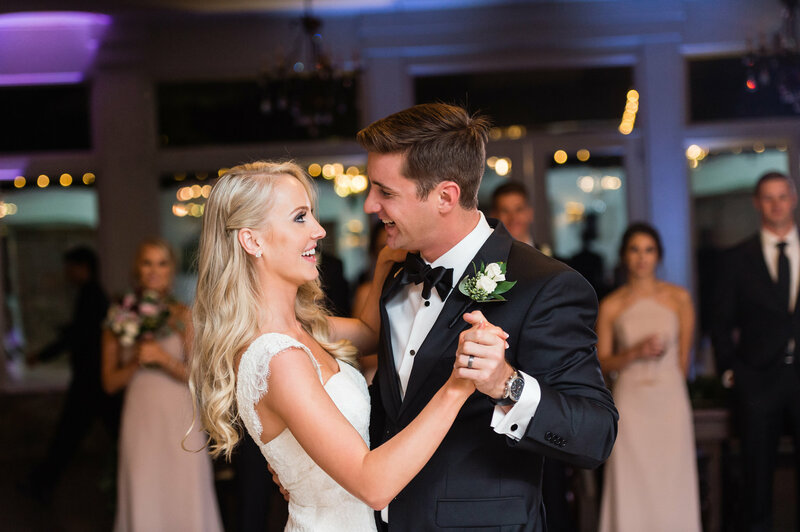 Following dinner, their guests enjoyed a night of lively and high-spirited dancing. 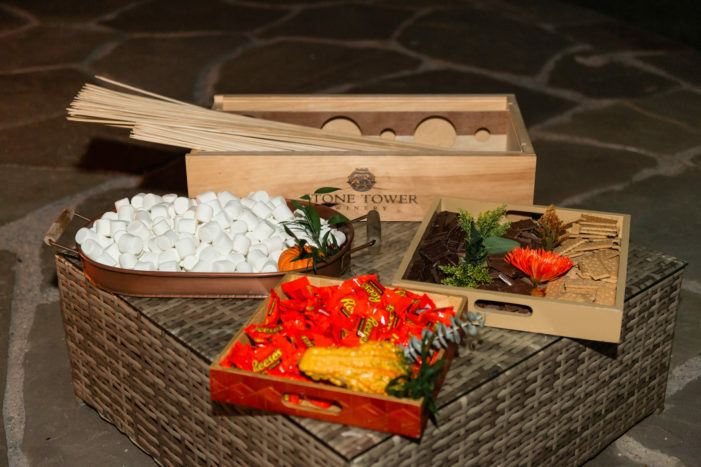 They were able to take breaks outside to relax in the outdoor lounge under the stars and string lights. 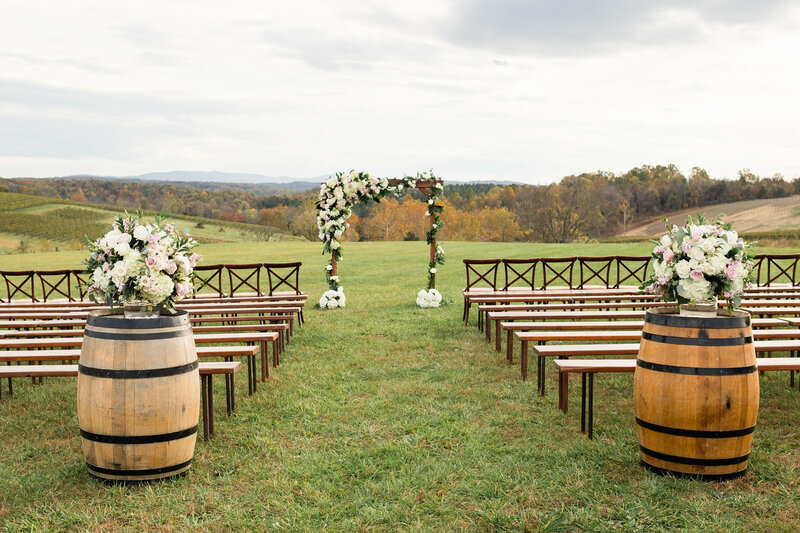 So picturesque, right? Then, the newlyweds wrapped up their perfect celebration as their guests treated them to a spirited sparkler send off. The whole night just looks like a dream! 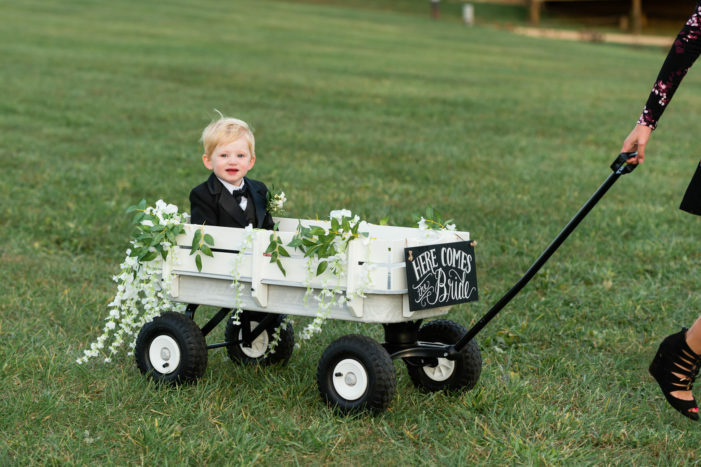 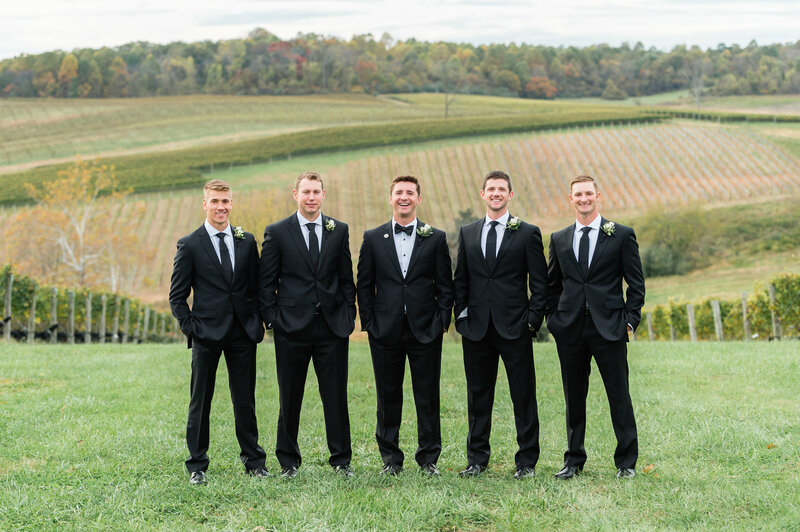 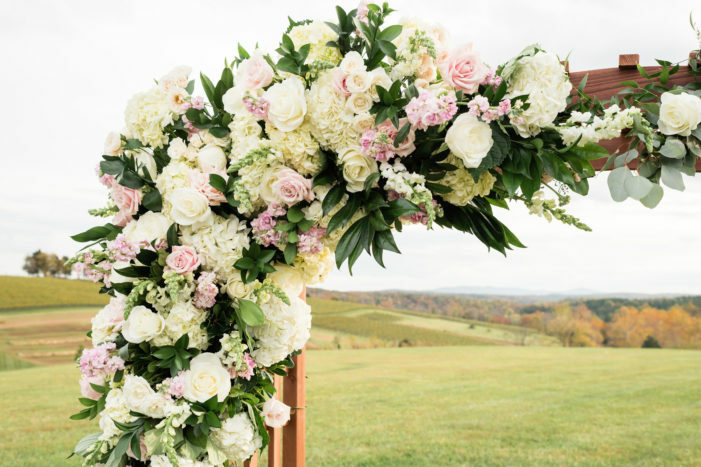 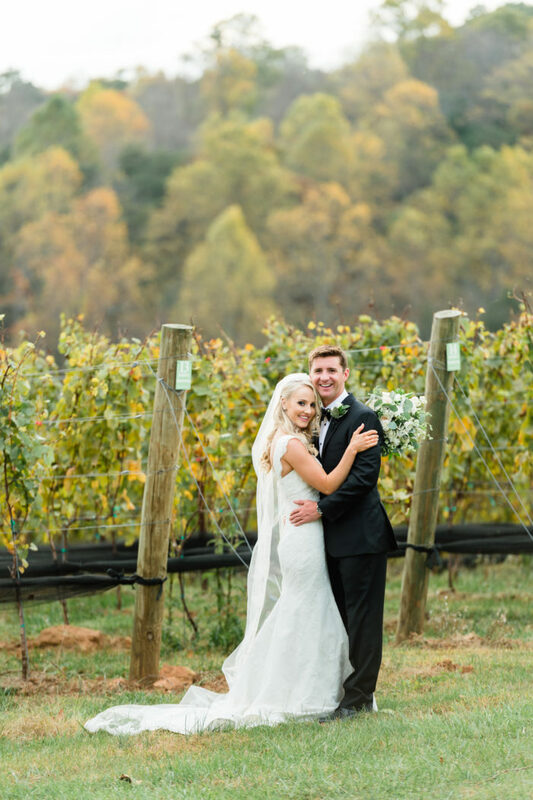 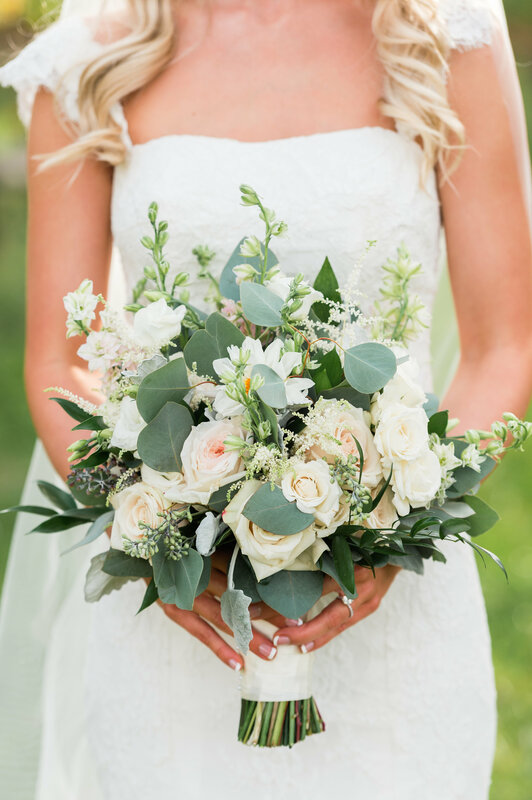 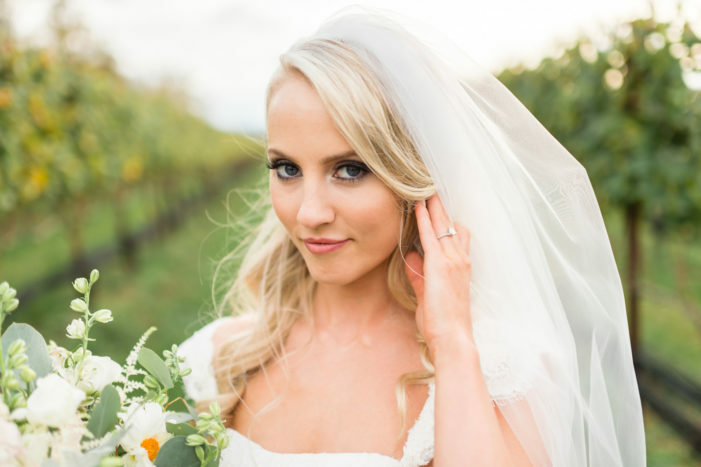 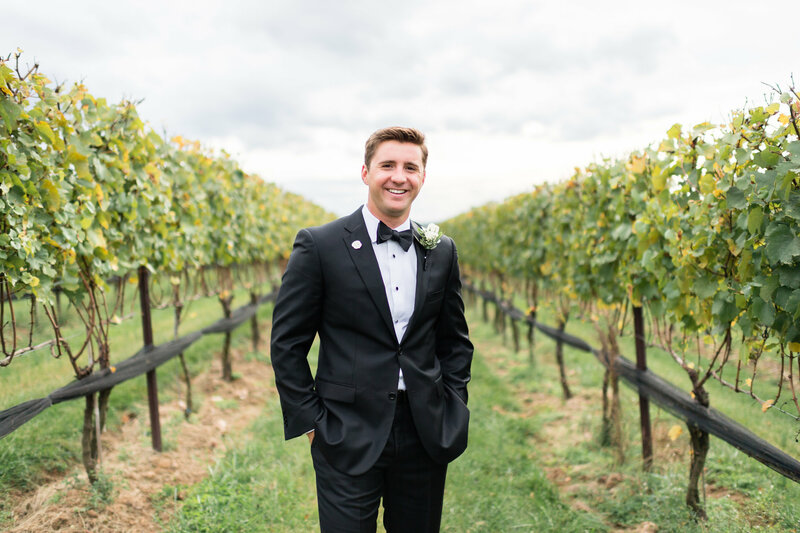 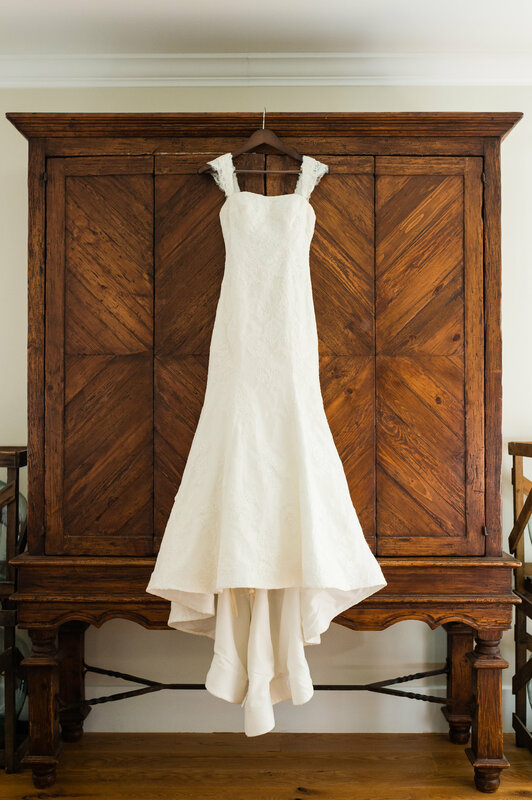 Thank you to Lisa Boggs Photography for sharing this Virginia vineyard wedding with us today.